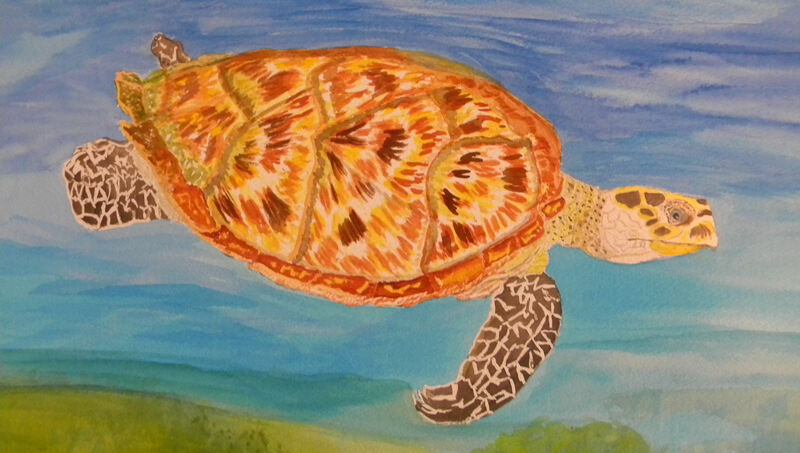 Here is my new watercolor sea turtle. This is a Hawksbill sea turtle. Her name is Shelly, thanks to my friend, Jill Weatherholt. 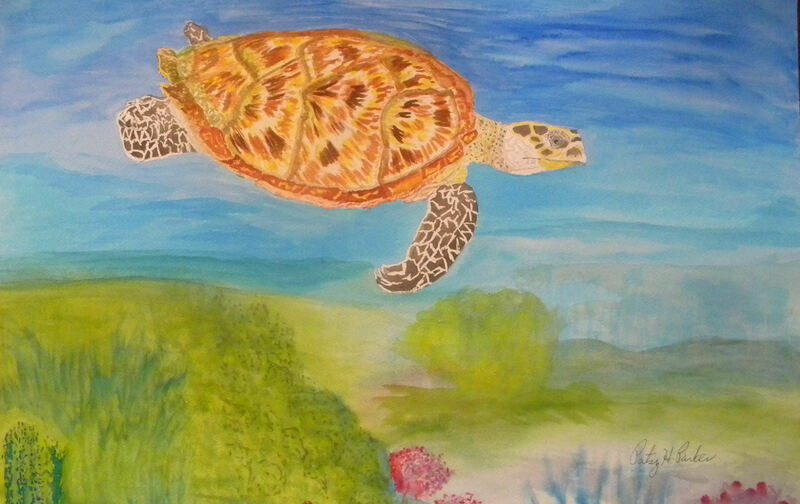 Posted on April 22, 2014, in Sea turtles, Watercolor Paintings. Bookmark the permalink. 5 Comments. Thank you, Jill! I have grown to love the name, and it’s nice to have a female turtle. So now I have Thomas, the Green Sea Turtle, Larry, the Leatherback Sea Turtle, and Shelly, the Hawksbill Sea Turtle! Now I am working on my first drawing of a Loggerhead Sea Turtle. I just need to draw “her” on bigger paper soon.